Olivia Musser, Lauren Lingenfelter, Claudia Luther, and Greta Schleif present “The Personality Profile of U.S. Vice President Mike Pence” at the College of St. Benedict, St. Joseph, Minn., April 27, 2017. 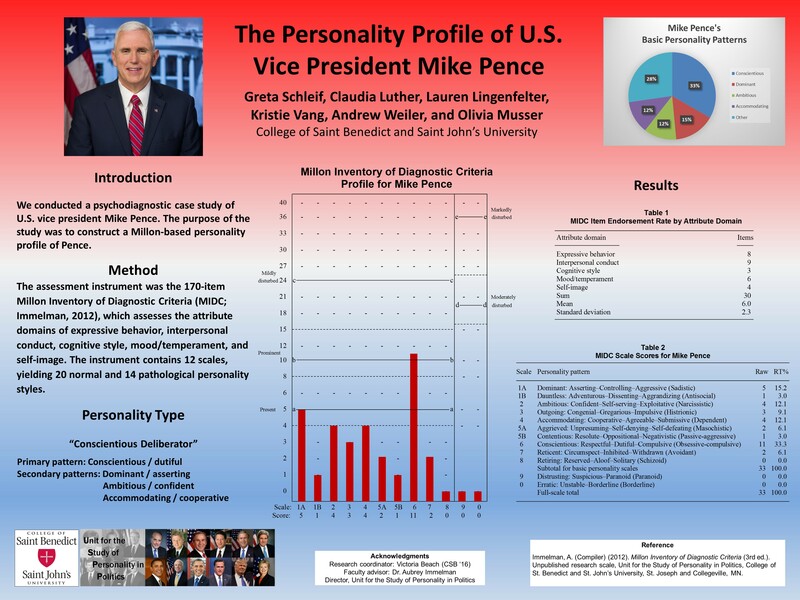 A preliminary psychological analysis of U.S. vice president Mike Pence by Greta Schleif, Claudia Luther, Lauren Lingenfelter, Kristie Vang, Andrew Weiler, Olivia Musser, and Aubrey Immelman, Ph.D., at the Unit for the Study of Personality in Politics, revealed that Vice President Pence’s primary personality pattern is Conscientious/dutiful, complemented by secondary Dominant/asserting, Ambitious/confident, and Accommodating/cooperative features and a minor Outgoing/congenial tendency. 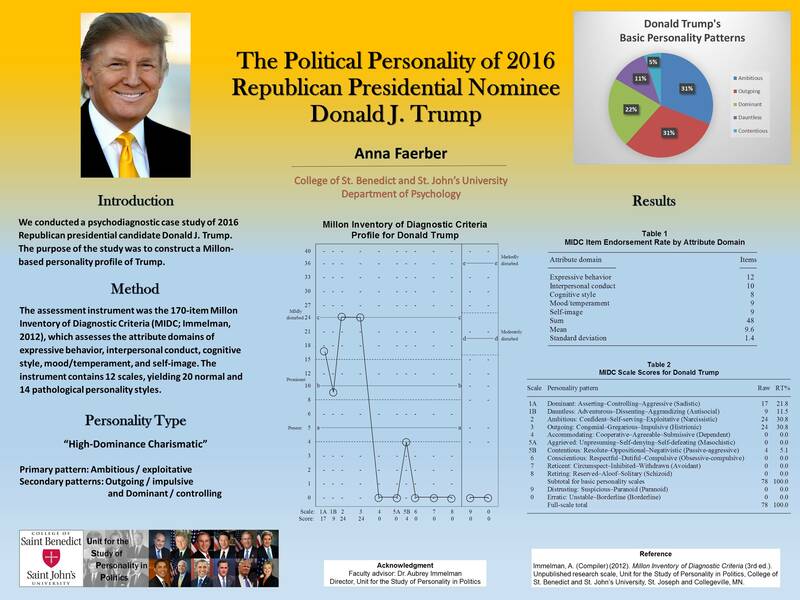 In summary, Pence’s personality composite can be characterized as a conscientious deliberator. 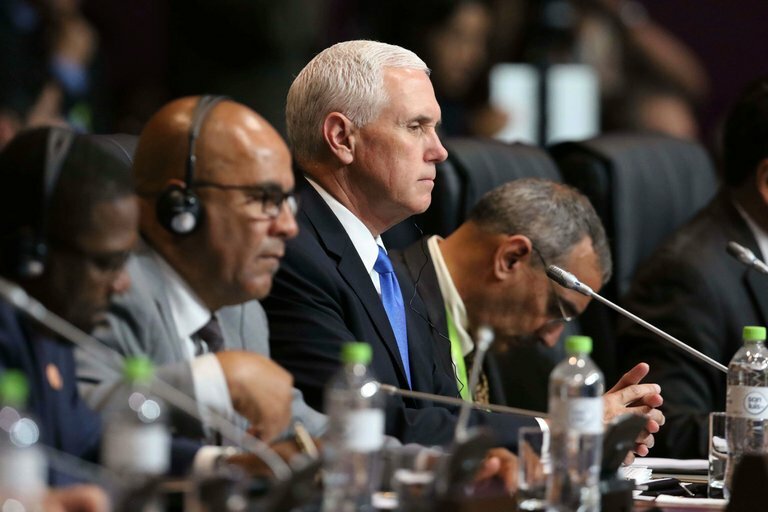 The poster presents the results of an indirect assessment of the personality of U.S. vice president Mike Pence, from the conceptual perspective of personologist Theodore Millon. 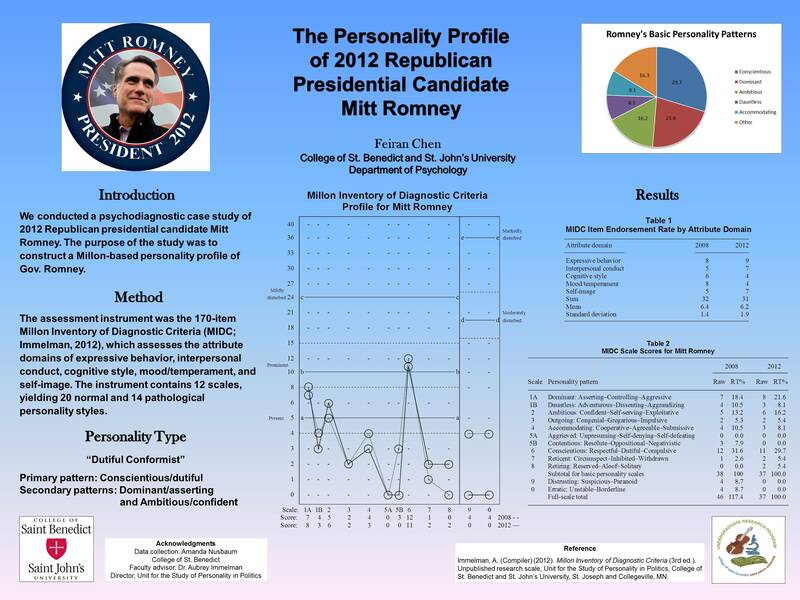 Information concerning Pence was collected from biographical sources and media reports and synthesized into a personality profile using the Millon Inventory of Diagnostic Criteria (MIDC), which yields 34 normal and maladaptive personality classifications congruent with Axis II of DSM–IV. The personality profile yielded by the MIDC was analyzed on the basis of interpretive guidelines provided in the MIDC and Millon Index of Personality Styles manuals. Pence’s primary personality pattern was found to be Conscientious/dutiful, complemented by secondary Dominant/asserting, Ambitious/confident, and Accommodating/cooperative features and a minor Outgoing/congenial tendency. In the absence of concurrent primary personality patterns serving to moderate or offset high conscientiousness, Pence may be described as a “conscientious deliberator” or “dutiful conformist” — very similar to 2012 Republican presidential nominee Mitt Romney. Leaders with this personality profile are characteristically prudent, proper, dignified, dependable, and more principled than most personality types. They are highly organized, with a strong work ethic and careful attention to detail. Dutiful and diligent, conscientious leaders excel in crafting public policy, though they are not typically regarded as visionary or transformational leaders. Trump, Twitter Fingers Flying, Exclaims. Pence, Note Cards in Hand, Explains.